Those not in the know often underestimate the number of hats that a startup founder has to wear when they embark on their journey. Not only will they have to be knowledgeable about the field they’ve ventured into, they also have to play the role of the accountant, marketing manager, developer, tester and sometimes, guinea pig for their product. Therefore, sometimes founders may find themselves spending more time on these various other tasks instead of working on their big idea. The rise of tech startups across the globe was the environment that allowed for the rise of accounting and invoicing platforms, and without coincidence many of them specifically target SMEs that usually neither has the budget nor the ability to run their own accounts. Designed for micr0/small business owners and non-accountants in Singapore, Financio should reduce the time & money spent on accounting and tax (GST) related tasks. The platform ofers both e-invoicing and accounting automation services and includes functions like generating accounting entries and tax records. Financio can help generate account entries and tax records, e-invoicing, allow for collaborations and file-sharing among suppliers (even those that don’t use Financio), and even a multilingual interface. Another cloud-based accounting platform available in Singapore, QuickBooks is probably one of the more well-known platforms of the bunch. It offers auto-GST calculation for IRAS filing, customised invoicing, receipts and estimates, generates accounting reports, organises bills from venders (and pays them when they are due), and bank-level encryption (128-bit SSL). Often compared to QuickBooks, FreshBooks hails from Toronto, Canada with invoicing capabilities. It organises expenses, logs time-tracking for time-based invoicing, allows for collaboration (with files and conversations saved), accepts credit card, generates accounting-based reports, and is also available on mobile. 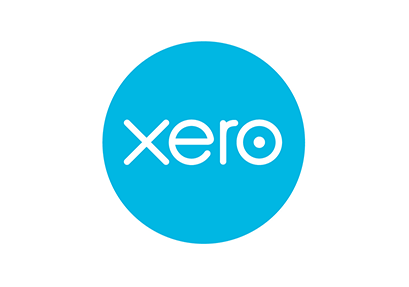 The cloud-based Xero offers functions such as what they call “easy invoicing” which helps create recurring invoices and sends out updates for when they’re opened. 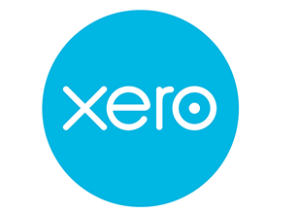 Xero is also IRAS tax-compliant with GST calculations, inventory management and invoicing, reconciles foreign currency accounts with hourly exchange rate updates, integrates with over 700 apps, allows for attachment of invoices and bills in the platform. It also allows for claims management and bill payments management. Netsuite is a business management suite offered as a service that performs enterprise resource planning (ERP) and customer relationship management (CRM) functions. Netsuite is attached with Oracle, which allows for accurate calculations and a user-friendly database. This allows for more convenient auditing with other tools. The platform also offers invoicing that is said to support a variety of monetising strategies like transaction, subscription, usage-based business models. Sage offers a variety of products from a more traditional Sage UBS, to a product that is more geared towards startups, Sage50. Their products helps manage accounting, invoicing, cash flow, inventory, and taxes. 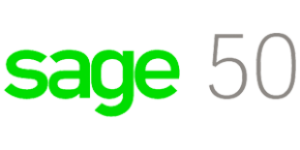 Sage50 even offers customisable invoicing services (and even issuing invoices via mobile), automatic calculation and submission of GST, expense management, sales customisation, payroll, and reporting. Reach’s accounting software offers functions like converting received job orders or sales into invoices when ready, and production process management (along with raw material conversion and extracted finished goods reports). The platform also offers warehouse management, cost management, order management, income & expense grouping, tax heading, the ability to segregate branches and other companies, and access to daily profitability, bank balances and other reports. Tally is a customisable accounting software offers functionalities useful for businesses that are constantly scaling and shifting. It comes with multi-user functionality, and a variety of add-ons to support specific business needs. The functions include invoice generation, financial year submission, generating balance sheets and a GST tax option. MYOB is one of the more well-known accounting softwares in Singapore for SMEs, and offers options like charts for accounts, customer and supplier database tracking, bank reconciliation, profit and loss reporting, GST reporting, generates payslips for payroll reporting, consolidates multi-currency businesses, balance sheet reporting, and is able to send invoices and manage debtors among other functions. Based in Singapore, HashMicro offers services like tracking orders and assets. It’s IRAS-compliant and localised to the Singaporean context. It generates reports for transaction history, general ledger, profit and loss, IAF and GST automatically. HashMicro also stores and retrieves transaction history, where reports can be pulled to get data in exchangeable formats. AccountingMate is another Singapore-based company that aims to help with tax and statutory compliance, payroll, issuing professional online invoices, paperless bills and receipt management/storage, and digital management and signatures for resolutions and contracts. 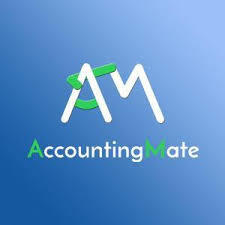 On top of that, AccountingMate also helps with incorporating the company and even for visa purposes. Equip offers both automated accounting and e-invoicing in separate softwares. Its accounting software helps to generate real-time financial reports, manage transactions, and has functions like reconciling foreign currency accounts, manage purchase orders, schedule payments, etc. Equip’s e-invoicing helps to send invoices on-the-go, manage bills, set up expenses, schedule recurring invoices and customise invoice templates in one platform. Zoho is an invoice software that lets you send professional invoices, automate payment reminders, and accept card payments online. It even offers a customer interface for them to check their payments owed and generates a report on invoices. The Commercial UAV Show Asia: Is Asia Ready for Commercial Drones to Take Flight? Getinvoice.co will make a great addition to this list. I use it every day and believe me it works well for my business.